Johannesburg 19 January 2019 – You definitely don’t want to miss out on the best way to kick off 2019! If you’re a cool cat, you will know about Woodstock! In the summer of 1969 Woodstock made history through its three day music festival, which was held on a dairy farm in the Catskill Mountains, northwest of New York City. The festival attracted more than 400, 000 people, who gathered in the name of peace and music. It was unexpected and at the same time, gave rise to the notion that human beings are inherently good and peace loving; and music is the food that feeds such souls – plus, we all need a day or three out of the city. 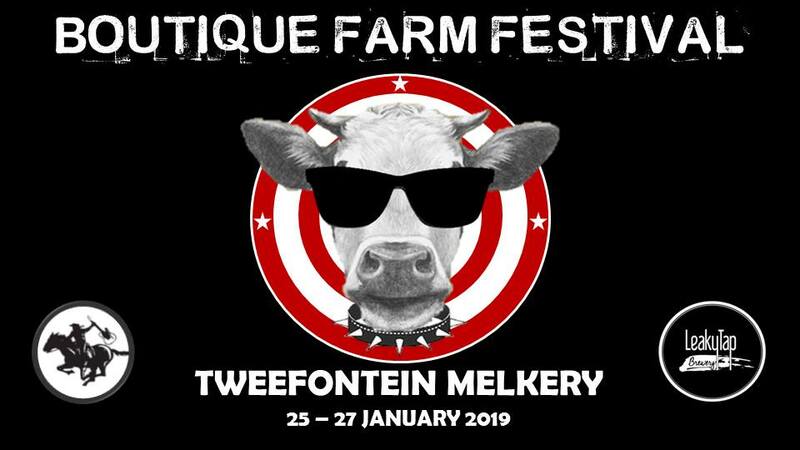 Boutique Farm Festival 2019 (#BFF2019) offers you just that – a three day festival with more than 20 of South Africa’s greatest music acts, hosted at the Tweefontein Melkery farm, conveniently located just off the R21 between Pretoria and Kempton Park. Unlike Woodstock, we want to manage expectations and are starting out small. We have made 400 tickets available to the public, which includes free camping for three (3) days and to ensure your comfort, we promise you enough showers and toilets. Bring your friends, your tents and get ready for an unforgettable three day weekend from the 25th to the 27th January, 2019.#BFF2019 brings you a three day festival of 20 of South Africa’s greatest music acts, hosted at the Tweefontein Melkery farm, conveniently located just off the R21 between Pretoria and Kempton Park. We want you to be part of the best crowd the bands could ever hope for but we also want to ensure your comfort, hence we are only making 400 tickets available. This includes free camping for the 3 days, so bring your own tents. R375 per person or R555 per person including festival shirt. Some good news! We have decided to reserve a limited amount of walk-in tickets at the gate at R400 each! Save yourself R25 by ordering your ticket online!